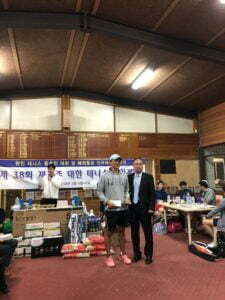 A hearty congratulations to SSC tennis coach and Badge representative Inhwa Song for his tireless work and performance in bringing this month’s Korean Australian Association Tennis Tournament to life. The 38th edition of the annual event was staged at Concord’s Cintra Park Tennis Centre and Parramatta’s City Tennis on the 4th and 5th May 2018 and boasted 150 players from across the east-coast of Australia. Not content with just organising this prestigious community event Inhwa was also in action on the court and claimed the open singles division title! His prize is a trip to South Korea, where he will represent the Korean Australian Association at the 99th Korean National Sports Event in October. 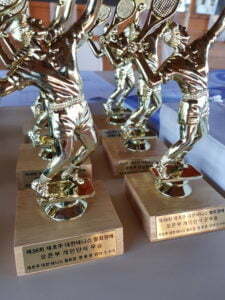 Inhwa has proudly represented his heritage at the event for the past five years, medalling on multiple occasions, including a doubles gold medal. Our expert tennis coach has been a wonderful ambassador of SSC during his time at the Club. We would like to recognise his achievements and are sure everyone from our community wishes him good luck! 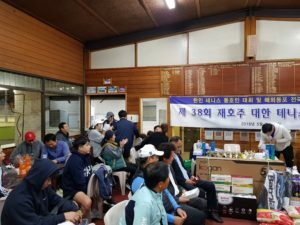 Inhwa’s Sydney Tennis Academy & Consulting (STA&C) also continues to go from strength-to-strength at SSC in 2018, with his extensive tennis program catering from beginner juniors to elite adults.